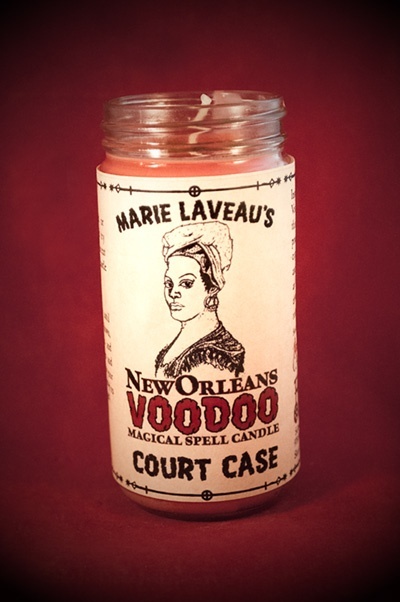 Whenever you're indicted or sued, burn this candle and try not to lose. Whether innocent or guilty as sin, burn this candle when you want to win. 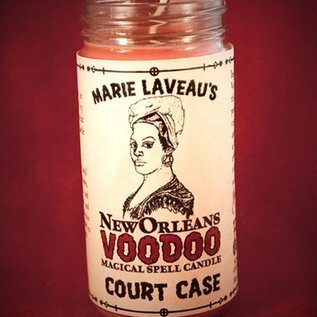 Inspired by famed New Orleans Voodoo Queen, Marie Laveau, this candle has been hand-poured with all-natural soy wax, organic and wildcrafted herbs and roots, and pure essential oils, and is infused with formulas drawn from African-American rootworking spells and folklore.